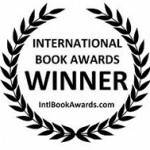 THE INTERNATIONAL BOOK AWARD Winner! 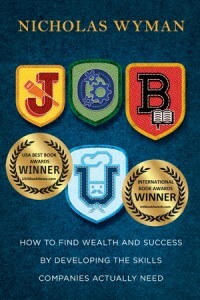 Job U quickly shot to #1 on the Amazon Hot New Releases in Job Hunting and Career Guides. 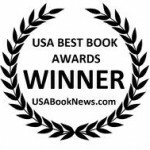 It has been awarded Best Business Careers book in the International Book Awards and Won USA Best Book Awards, Business: Careers category. Get ready to relearn everything you thought you knew about what a successful career path can look like. Today, unemployment hovers at a near-record high, yet 3.5 million American jobs remain unfilled. Why? Because companies simply cannot find people with the skills they actually need. The good news is that this skills gap represents unprecedented opportunities for every person seeking a successful and exciting career. But these opportunities can’t be found inside the walls of the traditional classroom. Professional certifications: Start your career faster in fields like bioscience aviation, culinary arts, and medical technology. Associates degrees: Increase earning potential through inexpensive 2-year programs in subjects like civil engineering, environmental science, education, and nursing. Apprenticeships: Earn while you learn under the direct supervision of a skilled expert. Far beyond the artisan trades, today’s apprenticeships can be found at companies like Volkswagen and Siemens. Occupational learning: Refresh or reboot your skills set through on-the-job training or online education. In Job U, you’ll learn about these paths to rewarding occupations; where to find them and how to parlay them into the best paying job in any field. And along the way, you’ll meet individuals of all ages who have attained their “dream jobs” through a non-traditional education: from an emergency air paramedic, to a lead mechanic of a race car team, to an engineer of complex gas turbine generators, to a bestselling cookbook author. Whether you are recent high school or college graduate, or well along in your career journey, Job U will help you find your way to a more secure and prosperous future. 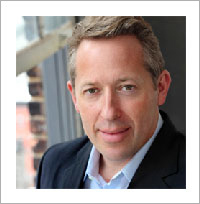 Nicholas Wyman is a workforce development and skills expert, CEO of the Institute for Workplace Skills and Innovation, and a multi-award winning author. He was Australian Apprentice of the Year in 1988 and went on to captain Australia’s gold medal-winning Culinary Youth Team. Today, he is a leader in developing skills-building, mentorship and apprenticeship programs that close the gap between education and careers around the world. He is a regular contributor to Forbes Magazine, and also writes for Huffington Post and CNBC. He has an MBA and has studied at Harvard Business School and the Kennedy School of Government and was awarded a Churchill Fellowship in 2012. He regularly speaks at conferences and to HR departments, trade associations, think tanks, high schools and colleges in Australia, North America, Europe, Singapore and China.